The evolution of the POS led to the founding of mPOS which revolutionized the world of payments. Among many benefits, mPOS enables merchants to accept multiple forms of cashless payments anywhere. Whether it is within the store in the aisle or even out on the streets at a farmer’s market, merchants are no longer limiting themselves to accepting just cash as payment. According to a report by 451 Research the global mPOS installed base will grow at a CAGR of 32 percent between 2015 and 2019 – exceeding 54 million units by the end of that time frame. With this growth in sight, retailers, ISVs, and developers need to think about integrating payments into their innovative business applications. A big obstacle for these ISVs and developers is the EMV migration. The long and expensive process of EMV certification delays an ISV’s go-to-market plan for their solution. What these ISVs and developers need is a power SDK to do the heavy lifting of these certifications for them. McKee highlights how time-consuming and expensive the EMV transition has been for organizations across the US. The level 3 payment processor certification backlog particularly has been the biggest pain point in the EMV migration process and has constrained the speed to market for POS services. 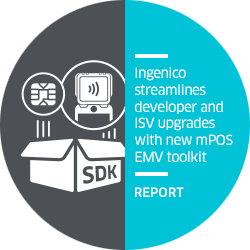 According to his report, the value proposition of Ingenico’s mPOS EMV SDK lies in the speed to market and simplicity of implementation it provides for ISVs and developers. Because the SDK is already EMV certified, it addresses the challenge of the bottleneck for the ISVs and helps merchants get to market with an EMV mPOS solution quickly. According to McKee, “The transition towards chip cards in the US means that much of the existing mPOS installed base will also need to upgrade to EMV.” McKee goes on to explain further how Ingenico’s product launch acknowledges that the developers and ISVs play an important role in payments as the influence of mobile and digital expands in the industry.  To learn more about the EMV mPOS landscape, download the full report here.